This class is for students who have taken the Beginner’s Basic Pistol Class or have extensive knowledge of how to correctly operate a handgun by exhibiting proper safety, knowing how the firearm functions, and how to shoot the firearm – demonstrating appropriate shooting fundamentals. This class will cover fundamentals, but will not go in depth on how to operate a firearm. 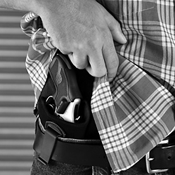 If you’re inexperienced, please sign up for the Beginner’s Basic Pistol Class (which also qualifies you to apply for your concealed carry permit with the sheriff’s office, although it is recommended you gain more experience first before doing so). The cost is a flat fee of $65. This class lasts about 3 hours. 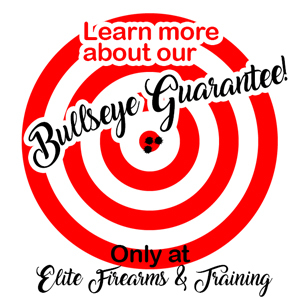 This class does not include range time, but it can be added for an extra $25. Students must be 18 and older to take this course, but can not apply for a permit until 21 years of age. Classes will take place in an indoor, temperature controlled classroom located at 1322 N. Academy Blvd. Suite 203A. All sales are final and no refunds will be given. For more info, please see refund policy. Interested in having a private class with family and friends? Groups five or more can do so! Contact Elite Firearms to set up a date. Classes are available seven days a week!